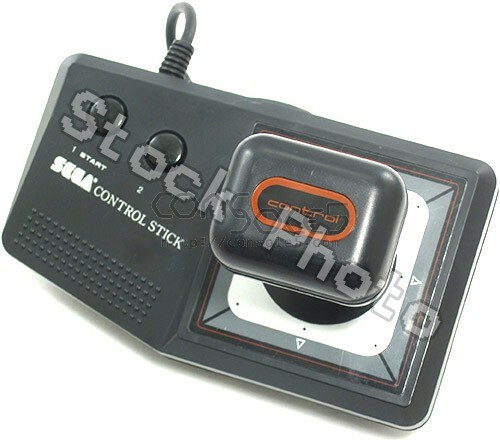 This is an original SMS Control Stick, fair or better condition (light to medium scuffs). Note that these joysticks will sometimes develop a light rattle sound from the joystick grip. Unfortunately the sound cannot be remedied without removing the grip decal to expose the retaining screw, which tends to negatively affect apperance. Because the rattle does not affect strength or operation, we tend to leave them as-is.